I have a bit of a thing for Nessmuk pattern knives. Not only are they versatile, but the shape is usually quite graceful. I recently compiled a history of the knife and the various permutations that are made in modern times. You can read it here, and don’t forget to check out my review of the Condor Nessmuk as well! I wanted to like this knife. 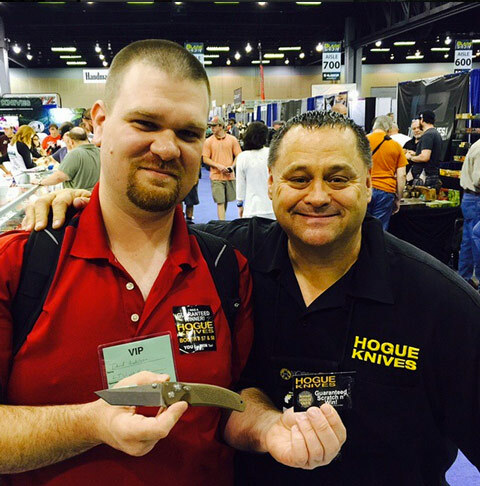 In fact, I was very eager to try it out after getting to handle it at BLADE Show 2015. Sadly, it has a fatal flaw. Read my full review at The Truth About Knives to find out. The beautiful Great Eastern Cutlery knife that you see here was given to me for review by KnivesShipFree.com owner Derrick Bohn. It was a privilege to review it and the quality of the knife is impressive. Hands down, it is the best traditional pocket knife I have had the pleasure of using. Thank you Derrick for the knife! The review is online now on The Truth About Knives. BLADE Show 2015 is in the books and I couldn’t have had a more enjoyable time! Not only was I running the Instagram account for TTAK, posting up photos of cool and new products, but I got to meet some titans in the knife world. Among them Doug Ritter, Ethan Becker, Michael Collins, Sal Glesser, and more. I walked away with some cool hardware as well. You can read my recap here.